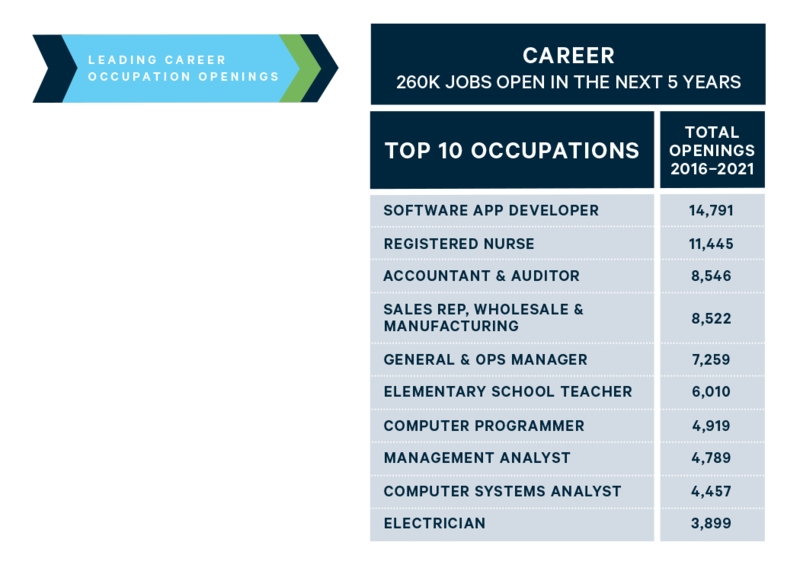 Washington employers are anticipating 740,000 job openings by 2021. We want to ensure that students growing up here are prepared to take advantage of the great opportunities ahead. That starts by understanding what jobs will be available, the requisite skills requirements, and the educational pathways to success. By 2021, Washington companies anticipate hiring approximately 5,000 cybersecurity professionals. The salary range for this career job is $60,000 to $250,000. Primary Care and specialty clinics anticipate hiring 3,000 medical assistants by 2021. This is a gateway to career jobs such as medical administrative assistant and laboratory assistant. The state must take a “cradle to career” approach to raising postsecondary attainment among Washington kids. Washington students fall behind early and fall out over time. A look at what happens to Washington students as they move through high school and into postsecondary education illustrates the challenge. of our kids for the best jobs of the future is not good enough. Not for our students, not for our state. The utilities industry anticipates hiring approximately 1,000 electrical line workers by 2021. Postsecondary training programs, such as at a utility line construction and maintenance school, provide entry to this pathway. Credentialed workers will make an extra $960,000 over their lifetime. Engineering firms and contractors anticipate hiring hundreds of virtual design coordinators by 2021. Success in this career begins with high school coursework emphasizing science, technology, engineering, and math (STEM) and English studies, followed by postsecondary education. 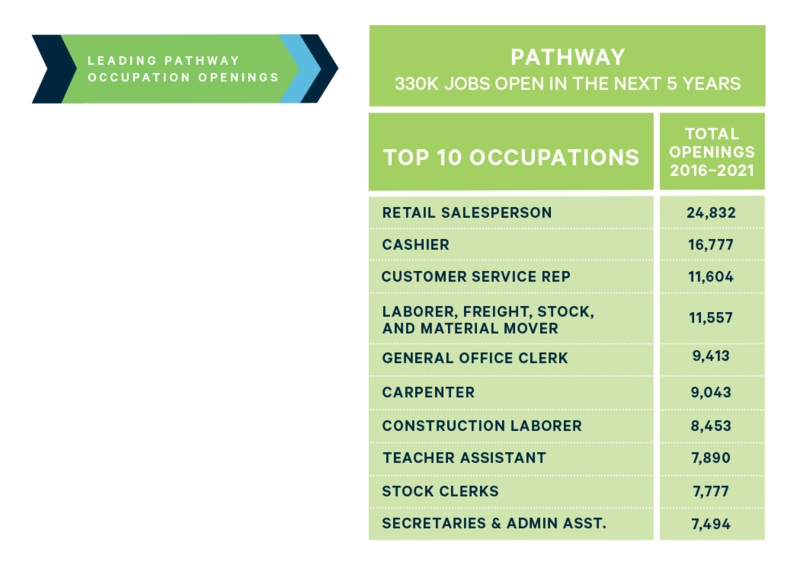 workers who fill “career jobs” will have a postsecondary credential (73 percent) or some college (18 percent).